Add these reports to the improved news on wages, and the picture gets rosier and rosier. I'd imagine that Republicans, eager to improve their midterm prognosis, would be thrilled to be focusing on these developments, rather than, say, this. 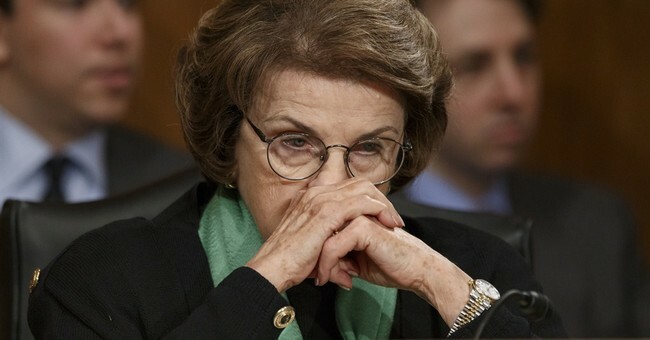 We're not even dealing with an actual allegation here; we're speculating about an anonymous and unspecific piece of reputation-tarnishing innuendo aimed at the recipient of powerful judicial nomination that Democrats have utterly failed to discredit or derail on the merits. Unless this turns out to be a verifiable scandal (if it ever goes anywhere at all, that is), this is one of the Left's lowest smears yet. If you can't beat 'em, try to delegitimize 'em with nasty, amorphous whispers. And if this is really what all of this is about (another account alleges different details, which Kavanaugh completely denies), the Democrats' exercise here is particularly pitiful and vile. If there was anything solid at all here, why did Feinstein sit on this rumor for almost two months? A few points: Confirming Kavanaugh is polling almost exactly evenly in handful of surveys, with a slight plurality favoring his elevation to the Court in others. There is no established plurality against him; if anything, it's the opposite. I'd also note that it's not as if Barack Obama was exceptionally popular when he selected Elena Kagan for SCOTUS in 2010, months before his party got wiped out by voters. And Bill Clinton fought through some mighty approval struggles in 1993 and 1994 (resulting in a punishing midterm cycle for Democrats), but that didn't stop him from placing two liberal justices on the Court during that two-year stretch. In response to Klein, another liberal commentator noted that the Republican-held Senate "got fewer combined votes than the opposition party." That was true in 2016, largely because of the types of states that happened to be holding elections that year (only one-third of the Senate is up for re-election every two years). What should we do? Have an election every time the vagaries of polling don't match the composition of congress? Or only when it doesn't work for Democrats? Deliberately choosing to write that piece to coincide with 9/11 is astoundingly tone deaf -- and is also, to borrow a phrase, how we got Trump. And it was furnished, ironically, by someone who generously promoted Trump's candidacy throughout key stretches of the GOP primary until resistance became the more fruitful path. Last but not least, here is yet another misappropriation of 9/11, in connection with a separate issue (yes, about which I have intense feelings). Find better analogies, everyone. (Carroll later updated his tweet with one corrected link). Imagine what could happen to California's spending priorities and taxation levels if Sacramento Democrats get their way and impose an astonishing single-payer healthcare scheme, which would roughly double the state budget -- with no way of funding that unprecedented spike.